Are You a Tourism, Hospitality or Business Entrepreneur? Make your business more sustainable by supporting local development strategies and becoming more competitive. Join the Consumeless network to discover our active eco-tourism community. In every 10,000 travelers, 42% are considered sustainable travelers. The ConsumelessMed label focuses on these types of visitors and tourists. We offer a choice of services that minimize the environmental impact on local resources. As a local business or entrepreneur, you’d take specific actions for sustainable tourism. The main points include waste disposal; reducing water and energy use; and promoting local products. You’ll save on water, energy and waste management costs. You’ll attract new tourists through the ConsumelessMed brand, with the help of our communications and marketing campaign. And you’ll be contributing to the protection of your territory‘s environmental resources and ecosystems. Take a look at our list of tourist sites that have already joined the project, click here to visit the map of facilities. 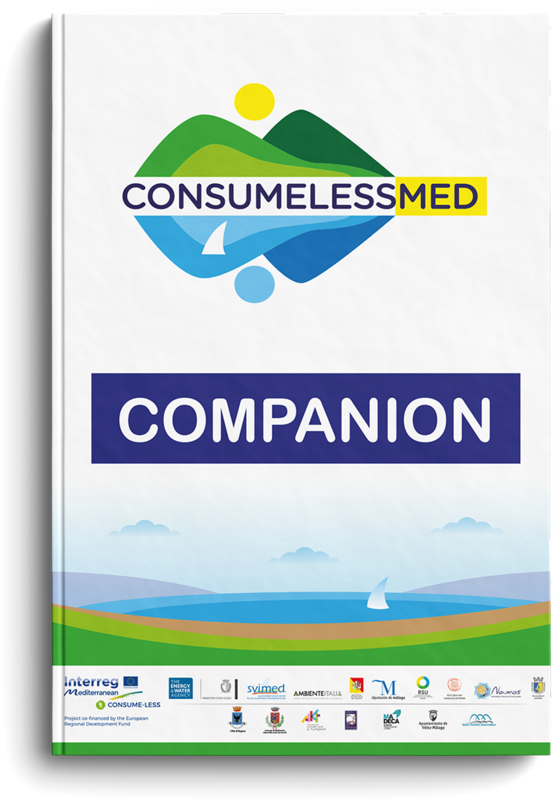 Want to apply for the ConsumelessMed label? Download the information kit below or contact the ConsumelessMed committee in your city.